We have a public defibrillator located in the old telephone box near Stocks Green. It is in a locked box, so make sure you have your mobile phone with you to get the access code from the ambulance service, if you haven’t already been given it. In all cases of emergency, DIAL 999 FIRST. It is really important the professionals are on their way. If you or the operator think you need an ambulance, remember THE AMBULANCE SERVICE ARE THE ONLY ONES WHO CAN GIVE YOU THE ACCESS CODE TO THE DEFIBRILLATOR BOX. So tell the operator you are near a defibrillator. The ambulance service can notify you if there is a cPAD box near to you if you are not in Keevil, but it will help if you tell them you are near one if you are. The ambulance service must give you the access code to the defibrillator box. If you are willing they will ask you to get this and commence the relevant actions. Then follow the instructions in the box. There was an incident in June 2018 where a resident called 999 after a neighbour fell and was injured. 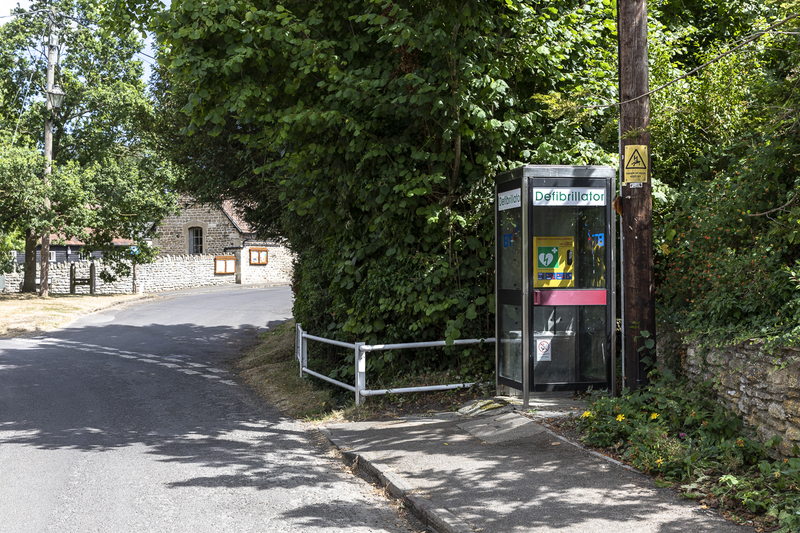 An ambulance was dispatched and the caller was advised to get our village defibrillator, situated in the phone box, Main Street, to the scene. The caller then went to the phone box and realised that the box was locked. They then again called 999 to ask for the access code. During this call they were told by the Ambulance Service there was no record of a defibrillator in Keevil on their system. I was made aware of this incident and immediately contacted the Community Heartbeat Trust, who are the group that helped us set up our defibrillator in June 2015. I can confirm that our defibrillator is registered with the South Western Ambulance Trust, and has been since June 2015. When a 999 call is made to access the defibrillator all the information regarding the patient is taken, and this will then determine whether or not the details of the local defibrillator are made available to the operator by the computerized system. Unless a patient is unconscious and not breathing, the system will not provide the details to the operator. In light of the circumstances surrounding the incident in June, this is clearly what happened. I have queried why this is not explained to callers, rather than simply telling them that there is no defibrillator registered, and I am awaiting a response. I want to reassure everyone that our defibrillator is properly registered, checked weekly and in full functional order. No training is required for anyone to use the device. When opened, automatic verbal instructions provide clear and easy to follow instructions. 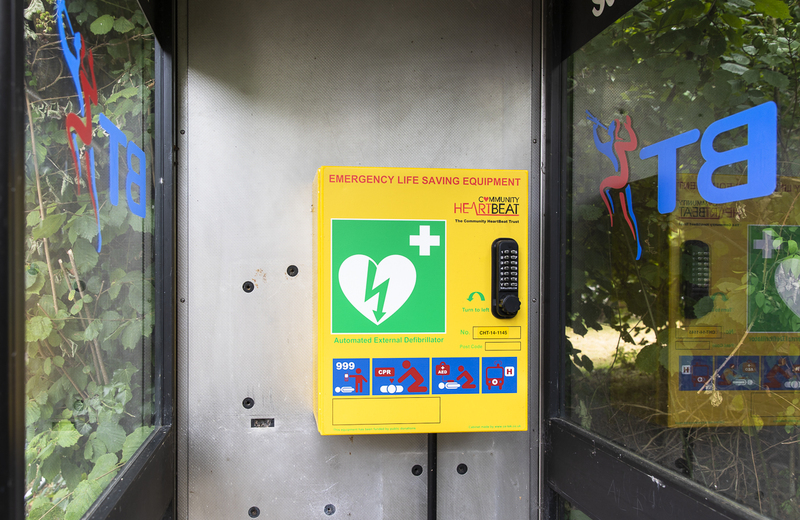 It is in a lockable box for security, as defibrillators are an easy target for thieves. Serious consideration was given at the outset to providing the code for the defibrillator to residents. However we were strongly advised not to do this as the experience of the Community Heartbeat Trust is that in an emergency, code numbers are often forgotten but even worse, people can be so focused on accessing the defibrillator that they forget to call 999, which should be the very first action when someone is in cardiac arrest. I hope this clarifies the situation and if anyone has any further questions please do not hesitate to contact me. Hare coursing, poaching and associated issues of antisocial behaviour is a growing problem in Wiltshire, and the damage to communities – especially to farmers and their properties – can be considerable. Hare coursers are not simply a few individuals quietly chasing hares on unused land: they are often large groups who show serious contempt for the law, wildlife and the countryside. Three men have been arrested for poaching and hare coursing offences in the Salisbury area. The men, aged 22, 27 and 35, were arrested yesterday afternoon on suspicion of daytime trespass in pursuit of poaching. They’ve all been released under investigation. The arrests are part of Wiltshire Police’s proactive wider operation, Op Artemis, to counter all forms of poaching and sits within the national operation ‘Project Poacher’. Community Policing Sergeant Michael Standing said: “We want to send all poachers a clear message that Wiltshire Police is committed to tackling coursing and poaching. Wiltshire is not a soft touch and we will seek to prosecute individuals who seek to commit poaching related offences within the county where evidence exists. Please report all incidents of poaching to the police on 101 or 999 if a crime is in progress. Sign up to www.wiltsmessaging.co.uk : Local officers and the Rural Crime Team send out free messages (as emails, texts and voicemails) about local police and crime matters. This could be a warning about potential hare coursing in the area. If you witness a suspected wildlife crime in action call 999 immediately and ask for the police. For all other enquires call your local Police on 101.